So it seems, Dude Food is a thing globally. And this phenomenon has arrived in Doha at an unlikely venue. 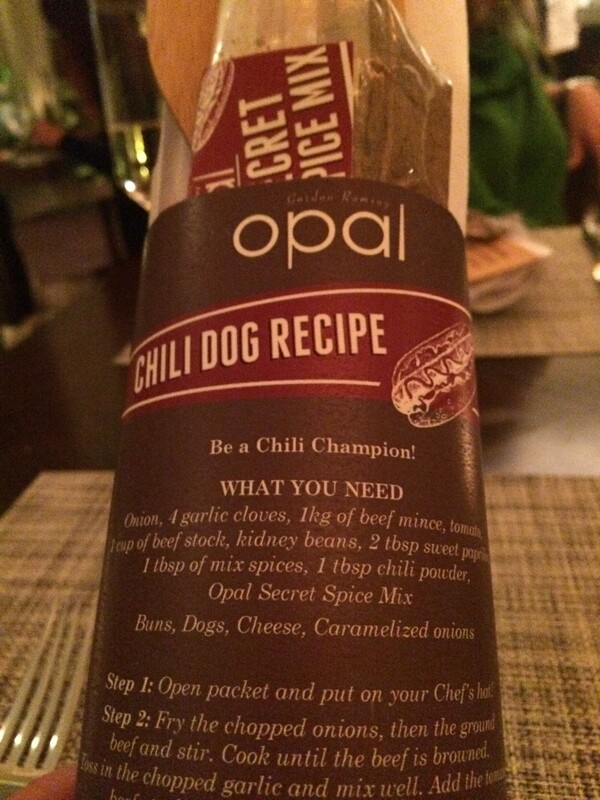 Opal by Gordon Ramsay at St Regis Doha has embraced this food fad and introduced Chilli Dog Tuesdays. Apparently Dude Food is comfort food for those with a bigger appetite. It is not for the faint-hearted. 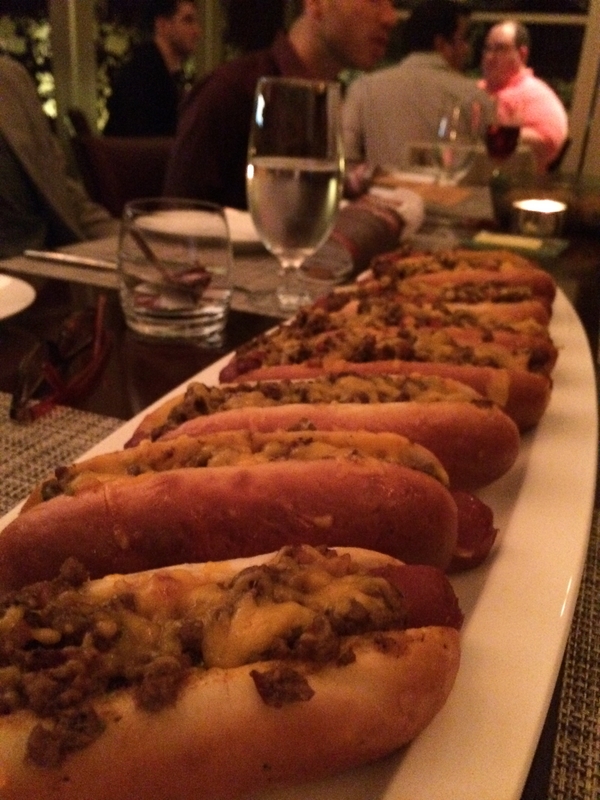 Think burgers, burritos, big meaty things and hot dogs. The trend originated in the United States, with the street food movement of food trucks. It evolved from there, think junk food classics with a gourmet twist. This is what we have at Opal. Opal is the more casual brother, sorry “bro”, to the sedate fining dining Gordon Ramsay next door offering pizzas, pastas and now chilli dogs. 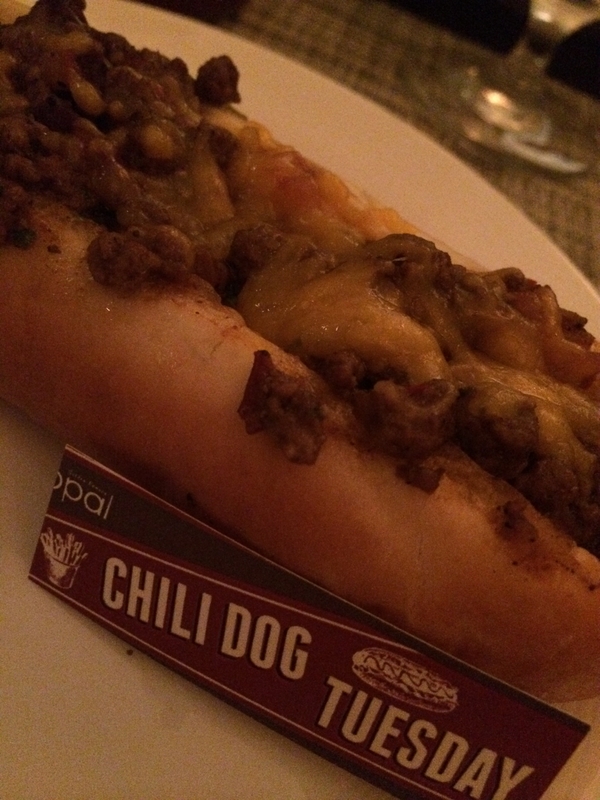 The Opal version is a classic smoked beef sausage topped with slow cooked homemade beef chili and smothered with cheese and caramelized onions. As you know i am quite partial to the odd fast food indulgence and I know my way around a weiner or two. Ours had just the right amount of heat to make it interesting and of course, I requested more cheese on mine. The sausage was great quality and actually pretty lean and the bread itself the perfect wrapper for this melange of spice, fat and flavor. 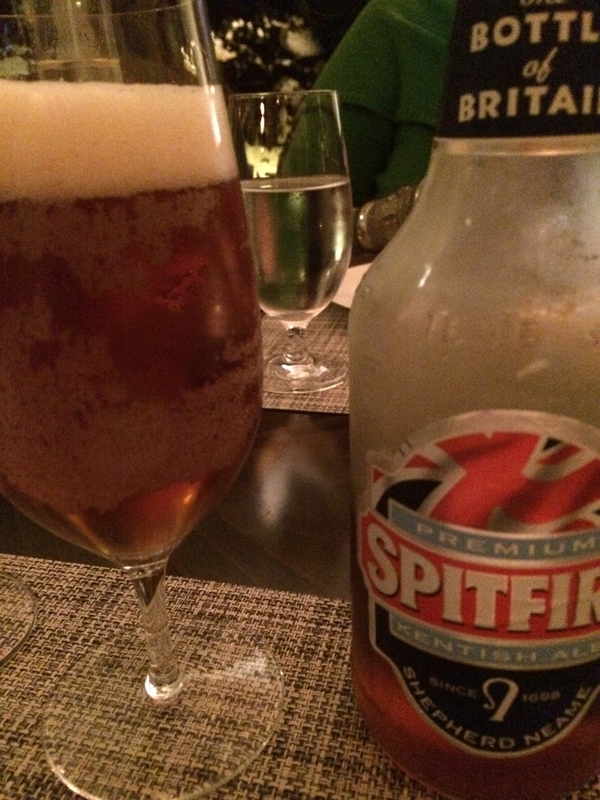 I broke the habit of a lifetime and I enjoyed mine with an English Spitfire Ale. I’m not a beer fan, the result of too many cheap schooners when I was at University. But this beer which was surprisingly tasty and offset the spicy chilli. If this is Dude Food, then clearly I have been eating like a man for years.